Dark circles, the bane of my life. Others may have problems with breakouts or oily skin, I have my dark under eye circles. If it wasn't for them I think I would (sometimes) be able to leave the house without make-up but these pesky dark circles make me look gross and ill ha. 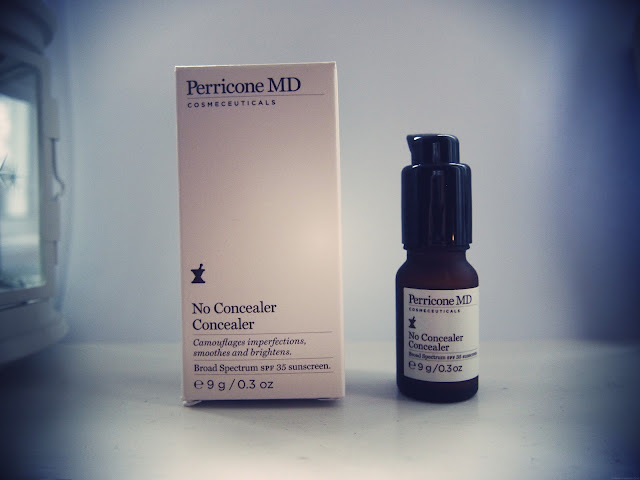 So I am constantly trying to find something to combat them, which is why I was so intrigued by this 'No Concealer Concealer' from Perricone MD. This concealer comes in a little pump bottle and interestingly is only in one shade which I was a little skeptical about at first. Luckily for me it does match pretty well. It comes out in a sort of pinkish shade but on the skin looks pretty natural. 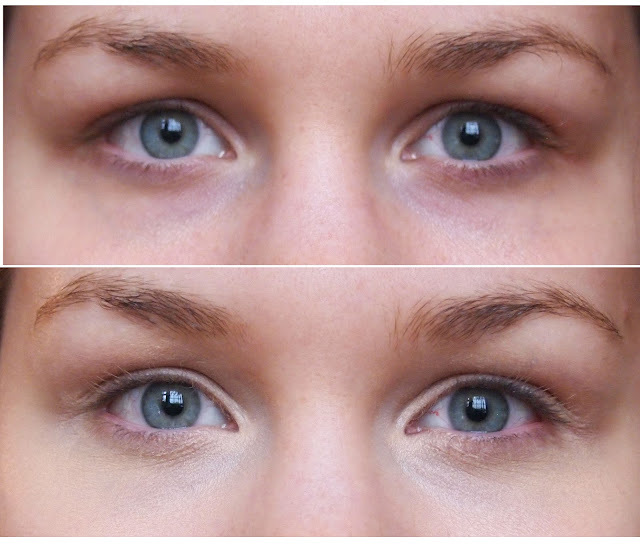 As you can see from the before and after photos it does make a massive difference, and with some foundation on the rest of my skin it does give a really flawless and brightened effect. The concealer itself contains an SPF 35 and has lots of anti-aging benefits included within it which are meant to improve the eye area itself. The one thing with this product is the price...at £37.00 is it quite an investment. However you do get a lot of product (9ml) and when you consider that you would pay £25.00 for the YSL Touche Eclat (2.5ml) it doesn't seem that bad. Plus this concealer is kind of like an 2 in 1 as it includes all the benefits of an eye cream. What do you guys think of the before and after shots? Also on an unrelated topic, what do you guys think of my new blog layout? I think it does a great job of covering it up! I have dark circles as well but I'm usually too busy and lazy to cover them up- they aren't extremely bad...yours aren't either. I've seen waaaaaaaay worse. I'm starting to cover them up whenever I remember to as I notice it does make a difference in the way my face looks overall.